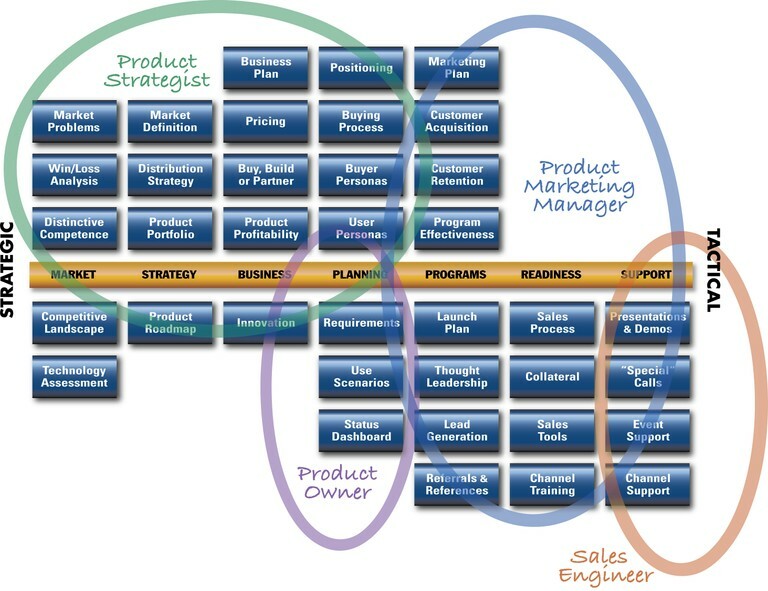 According to the Pragmatic Marketing framework these are the Skills and Responsibilities attributed to those functions usually associated with the Product Owner position. Illustrate market problems in a “story” that puts the problem in context. Use scenarios are one component of requirements. 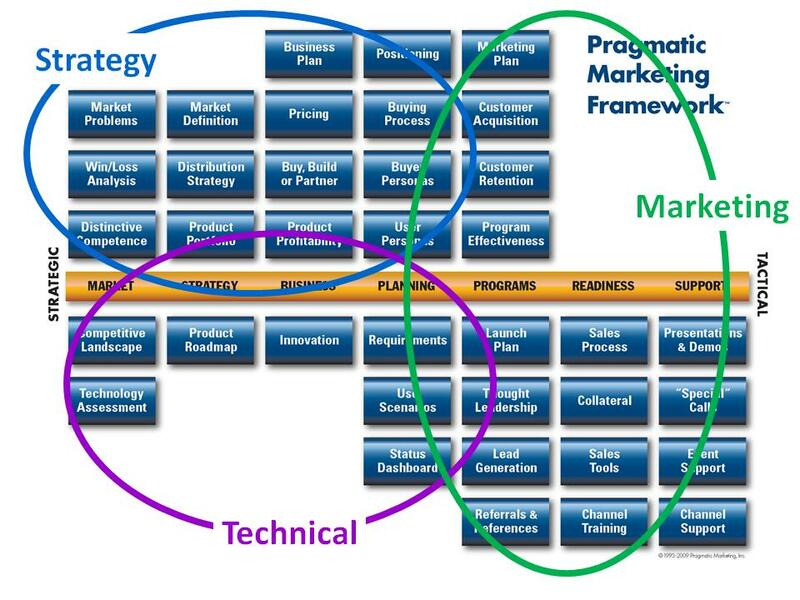 Three domains are highlighted with circles: Strategic Management, Marketing and Technical Management. It has been my own view that I fall on the Technical Product Managemnr domain; I usually have A and/or R on these functions. As PM is a leadership position within the Product organization, I would expect to be as C or I in all functions of the RACI matrix of the Product organization. In some instances, the definition and analysis of User Personas and Buyer Personas may also fall as R or A, on the shoulder of the PM. The PO, which is a SCRUM construct, has a subset of the Tech PM. On many organizations, it is clear that PM should act as PO on the context of the development team practicing SCRUM. This subset of functions may be open for discussion, but I do not want to discuss that here. However, some organizations, contract directly to the position of PO, which may indicate that the other tech functions are orphaned, or under the Strategic management. This may be the best configuration when you have multiple product layers; for instance: Content product, Front End product and API product (I experienced this many times at Elsevier, and yes I advocate that the API use of a product must have its own product team. I saw, also at Elsevier, a single functionality have its own Product Manager: the export function on Scopus (Yes, a manager for a button). 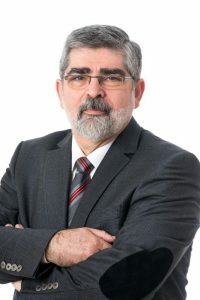 At a certain point in the Job Interview you must scope what are going to be the Product Functions “assumed” to fall under Product Owner, where he is to be Accountable and/or sole Responsible, as well as what will be the KPI’s on each one. It would also be preferable, once this is cleared that the Informed and Consulted for each other function be discussed… most important of which is the Roadmap function. It is important to note that these are the responsibilities from the POV of the Product organization. The SCRUM POV also has to be delivered by the PO. The overlap of responsibilities according to both POV’s is not a perfect match.